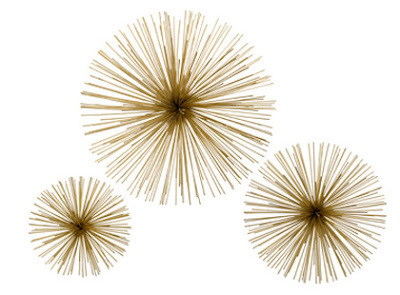 Have you been lusting over metal starburst wall sculptures like these? I have, and I decided to do something about it. You can make one in less than 20 minutes for under $5. First, make a hole in the bottle cap about a 1/4" off center with the nail. You will also use this nail to hang the final piece, so make sure you can easily, but somewhat snugly, fit the head into the hole. Next gently press the ball into the cap. Secure with duct tape, mine happens to be clear. Use a loop of tape to hold the cap/ball to a table surface. The skewers get heavy and make it tipsy. Starting at the top, stick pointed end of skewers into the ball. Continue working down and around until they are almost parallel to the table. I used 10" skewers here, so this is about 21" in diameter. Now you need to gently lift it off the table and transfer it to a shallow pie plate or dish you don't mind getting paint on. Choose your color, mine is shiny gold, and give it a spray until its completely covered. Let dry and lift off plate. Hammer a nail into the wall so that only a 1/2" is visible. Gently slide the sculpture onto the nail. Viola! You have a piece of art. Now go make some more so it doesn't get lonely! They look fantastic in groupings, I plan on doing a group of 5-7. *You can cut your skewers to make smaller starbursts, or buy extra long thicker skewers ( I've seen them closer to grill season) or use larger balls. Chopsticks would look cool too. If you use a larger ball make sure you use a larger cap. A LARGER BALL WILL GIVE YOU A DENSER STARBURST WITH MORE SKEWERS. Have fun & make me proud. Please send pictures of your little starburst families! My little first born in its new home. It just needs some friends. This is just amazing! I've always been so drawn to these. The only problem, I don't have a wall that can stand these sticking out. Love them. oh heck no, Im totally going to try it. That is so random on how you made this and I saw it at Jayson. the wonders of blogland, wow , also really loving your blog. This is fun. I love the idea of making a bunch and grouping them! Seriously, stop it. You are showing the rest of us up here with all your genius-y DIY ideas, Danika! fun! Thanks for the tips. Keep up all the DIY. These projects are great. Oooh - I'm about to post on my new orange coffee table - later this week. I think you'll like it. You just made my day woman! I've been trying to figure this one out for some time now but could never execute, you bet I will be trying this sh*t out this week! P.S. 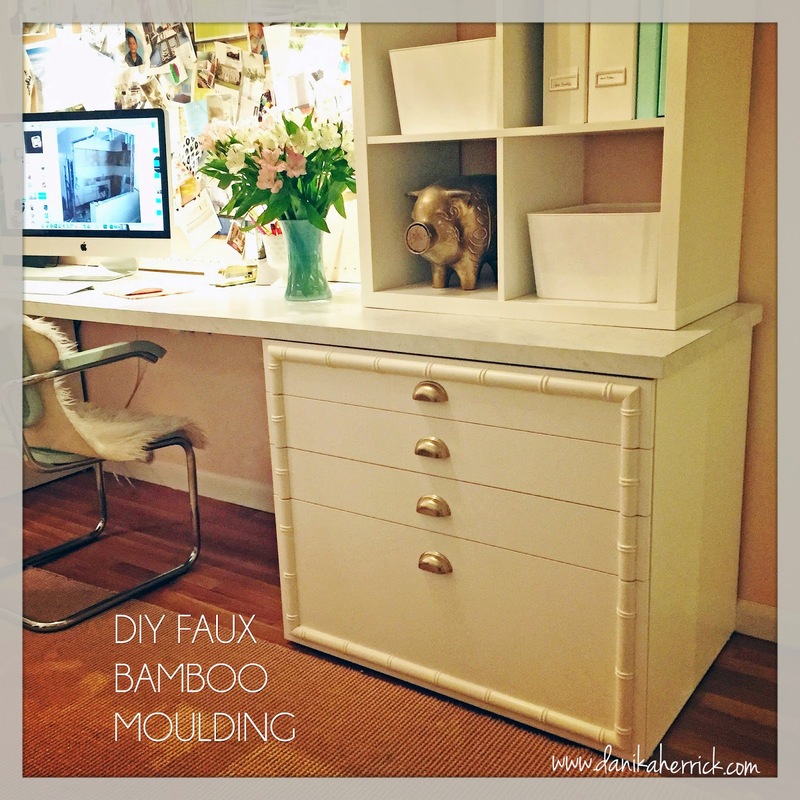 you need a DIY section on your blog for all these awesome DIY's. This is one of the coolest DIY projects I have come across while looking at blogs. Fantastic job. It looks amazing against that black patterned wall. I love it! So impressed by your DIY skills! Keep up the good work!